It features a large hook & base for increased lower bobbin thread capacity and triple feeding action by lower feed dog, needle bar feed and walking foot. The latest version for use in the UK replaces the previous 0618 & 0618-1 models and features improved quality and a safety clutch assembly which is fitted to help reduce hook damage should the machine become jammed etc. 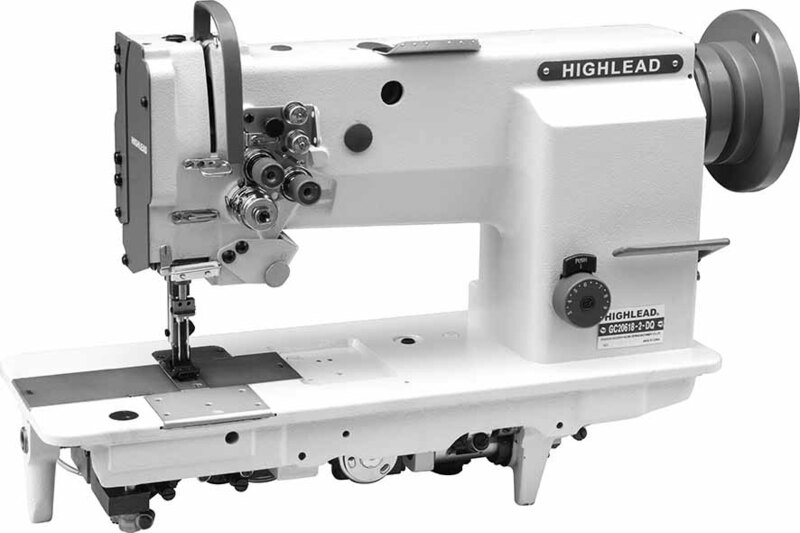 The Highlead GC0618-1-SC: is a general purpose needle feed, walking foot sewing machine for use on for example: bags, luggage, sofa cushions, horse blankets, canvas, covers, plastic/rubber materials, general upholstery & leather work etc. Matching Highlead branded unit stand. 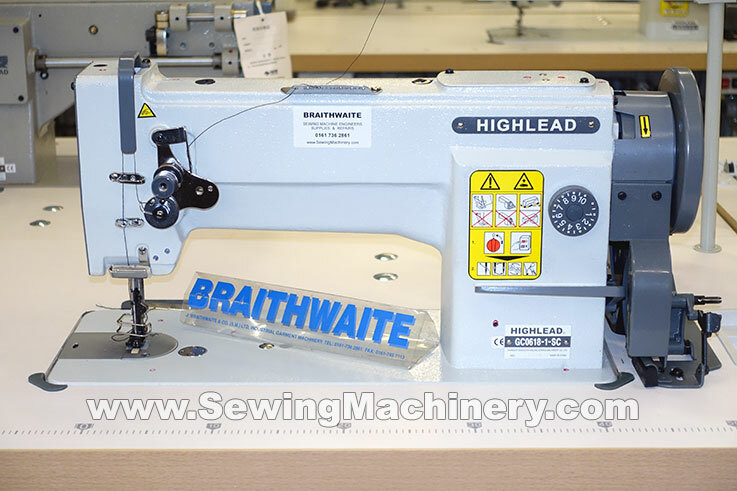 We supply & support GENUINE HIGHLEAD machines manufactured for use in the UK & Ireland.